This home in Muncie received a roofing makeover. The existing 3 tab design roof was replaced with this beautiful Owens Corning Duration shingle in Harbor Blue color. Roof it Forward completed this beautiful roofing system in Muncie. This new roof utilizes the Owens Corning Duration shingle in the color Colonial Slate. As you can see in the before and after photos, this makeover gives the home a completely new look and adds amazing curb appeal. Choose Roof it Forward for your next roofing project. The roof is getting old on our home built in 1958. Home inspector estimated roof to be about 10 years old. We have already had 1 leak repaired. Would like an estimate on getting the whole roof refurbished or replaced. We have recently purchased a new home. With all the rain recently we now have two leaks. One in each bedroom on the east side. The roof passed the inspection so I'm not completely sure what the problem is. I was hoping to get someone out to assess my roof. I have some missing shingles on the back side of the roof as well as some damage on the garage. My assumption is that I have some wind/weather damage and was hoping to have someone estimate the damages. If your home has faded and worn siding and you want your Muncie home to look fresh and new then contact ARAC Roof It Forward today for your siding installation and replacement needs. We can install vinyl siding on your home so you can have vibrant colors that will last decades that are easy to clean and can take a beating from the elements. We also install rigid foam insulation under the siding which will add to your Muncie home's comfort while saving on energy bills. Contact ARAC Roof It Forward today, your trusted Muncie, IN roofing & siding contractor! This finished roofing system shows how phenomenal the dimensions of these shingle work. Choose Roof it Forward for your next roofing project. 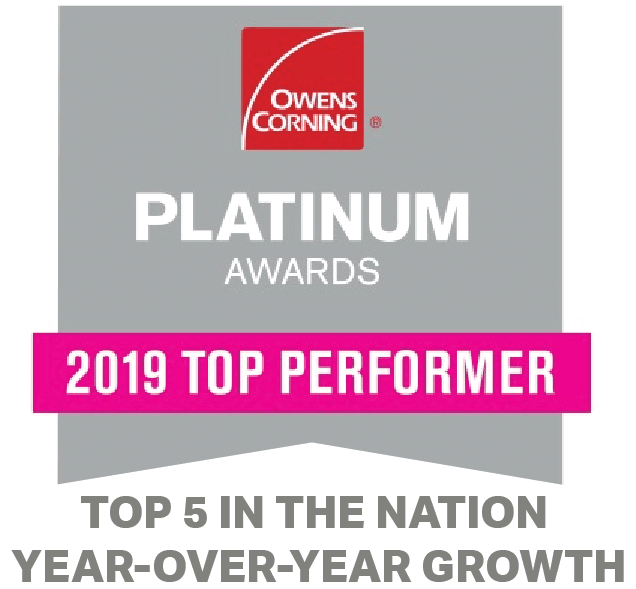 The Owens Corning Duration shingle has sure nail technology that is guaranteed for 130 Mph wind gusts. So not only will your roof look beautiful, it will continue to keep your family safe during harsh weather conditions. This Owens Corning Duration shingle is in the color Colonial Slate and looks absolutely gorgeous on this home. Roof it Forward completed this beautiful roof restoration in Muncie Indiana. This roof was completed using the Owens Corning Duration shingle in the color Colonial Slate. After the restoration the client was very pleased with the new system she received.